If ever there was a figure in the guitar world who was deserving of the title ‘renaissance man’, it was Lester William Polsfuss. At various times during his life, Les could have listed his occupations as guitar virtuoso, radio presenter, guitar builder, pioneering audio engineer, record producer, inventor, TV star, hit-maker, studio designer, electronics engineer and hugely successful performing artist. He even came up with the idea of a musical alter ego about 35 years before David Bowie dreamed up Ziggy Stardust. The only thing Les was ever purist about was sound quality, so although his heart was in jazz, he was happy to play country under the names Red Hot Red and Rhubarb Red if he could earn a living from it. By 1934 he had relocated to Chicago, and was backing up artists signed to the Decca label. The first Rhubarb Red records followed in 1936, along with a name change to Les Paul. Forming his own trio, with Chet Atkins’ brother Jim on rhythm guitar, Les and his band moved to New York in 1938. Chet Atkins recalled that a Gibson archtop given to his brother by Les became the first professional quality guitar he ever owned. Almost forty years later, Les and Chet would team up to record the Grammy Award winning album, Chester & Lester. Having almost electrocuted himself while experimenting at home, Les recuperated at the same hospital where Charlie Christian was being treated for tuberculosis. Les relocated to Hollywood and was drafted into the Armed Forces Radio Network. While there he performed under his own name and played for superstars such as Bing Crosby and The Andrews Sisters. The association with Crosby continued with Les’ trio backing him on a single that hit number one in 1945. It’s probably unfair to call Les accident-prone, but a 1948 car crash almost ended his career. His right elbow couldn’t be rebuilt and doctors advised amputation. Instead Les had the arm set at almost 90 degrees so he could continue playing. With his wife and new musical partner Mary Ford, Les really hit the big time. In addition to playing guitar, Les clowned around while Mary, no slouch on guitar herself, provided lead vocals. In 1951 alone the duo sold four million records and were earning over $20,000 per week – equivalent to around $100,000 today. Their TV show ran from 1953 until 1960, by which point rock ’n’ roll had put paid to Les and Mary’s brand of folksy light entertainment. The duo continued touring, but divorced in 1964 and Les, already a wealthy man, went into semi-retirement. Over the next few decades he recorded sporadically, but not without critical and commercial success, and was awarded his last Grammy in 2006, at the grand old age of 90. His decades-long Monday night residency at Fat Tuesdays in Manhattan became a popular attraction for visiting guitar fans. Periodically youngsters like Jimmy Page, Jeff Beck, Steve Howe and his godson, Steve Miller, would pop in to jam with their hero, just as Les had done with his heroes Eddie Lang and Django Reinhardt. In 2009, at the age of 94, Les succumbed to pneumonia complications and the music world lost a true giant. His time as a superstar may have been relatively short and the music he created is very much of its era, so why should he be regarded as such? Simply put, Les lived a parallel existence out of the spotlight and his contributions to guitar design and modern recording techniques even eclipse his considerable achievements as an artist. Les’ name – like Kleenex and Hoover – has become synonymous with a particular product. Every guitarist knows what a Les Paul is, even if they don’t know who Les Paul was. Although Les didn’t invent the solidbody guitar, as some have suggested, he was certainly influential in popularising them. His teenage experiments with railway lines demonstrate that Les understood that a solid core was needed to promote sustain, add brightness and effectively cure feedback. However, 24 inches of solid steel rail track was clearly not a viable option. Instead Les cut up an old Epiphone archtop body, attached a Gibson neck to a four-inch square block of pine and grafted on the body ‘wings’ with metal brackets. With two pickups that Les wound himself, it looked like a total lash up… but it worked! Although Les demonstrated his musical craftsmanship with his meticulously produced recordings, he was savvy enough to realise his limitations as a luthier, and he wasn’t about to start a guitar company. Instead he approached Gibson in 1941 to try and sell them on the idea. He was met with ridicule and the Gibson guys referred to Les as “that weirdo and his broomstick”. Les carried on using his famous Log on stage and in the studio through the 1940s, along with a headless solid aluminium guitar he designed and built, with tuner keys protruding from the body. It looks like a cross between a Klein and a Steinberger and you can hear its distinctive tone on Somebody Loves Me recorded in 1947. Unfortunately, the design proved problematic under hot stage lights. Then out of the blue, Les got an unexpected call. By 1952 Gibson had been shaken out of its complacency by Fender’s success, and the rest is history. Les collaborated on the design and tested various prototypes, some of which still exist. 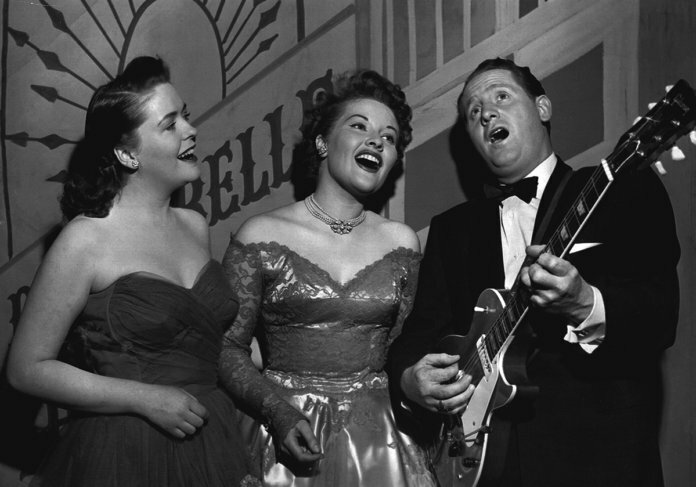 Even so, Gibson was remained reluctant to take advice and, contrary to Les’s wishes, the Les Pauls produced in 1952 and 1953 had a shallow neck angle and the ill-conceived under-wrapped trapeze tailpiece. But Les’ greatest and most lasting achievements were made in studio recording and production. Expressing his dissatisfaction with the sound of his own records to Bing Crosby, Bing suggested building his own studio. Before long Les had set up one in the garage of his house on North Curson Avenue, Hollywood. Never one to put finesse before practicality, artists were required to climb in through a window because there was no door. He began experimenting with microphone placement, establishing the practice of close mic’ing to enhance detail and presence. This way of recording has been the industry-standard ever since. Working with acetate disk cutters rather than tape, he would record a part onto disc and then play along with the recording to create a second recording on a different disc. The basic principle of this sound-on-sound technique is known today as overdubbing. What’s more, Les discovered he could loop the original sound back off the disk to create feedback, and he varied disc speed to create harmonies, bizarre octave effects and apparently supersonic speed. The track Lover from 1948 is so bizarre that comic legend WC Fields told him, “My boy, you sound like an octopus”. Les had been experimenting with sound-on-sound since the 1930s, so he naturally continued exploring this after moving over to tape recording. In 1952 he invented flanging, which featured on the track Mammy’s Boogie. However multi-track tape recording is surely Les’s most lasting innovation. Overdubbing on a single tape machine was basically impossible, because of the inevitable time delay caused by having separate record and playback heads. Les proposed solving the problem by merging the heads into a single unit. Working with Ross Snyder to design an eight-track tape machine, the first multi-track recorder was built for Les by Ampex in 1957 and he ordered an eight-channel mixer from Rein Narma to go with it. 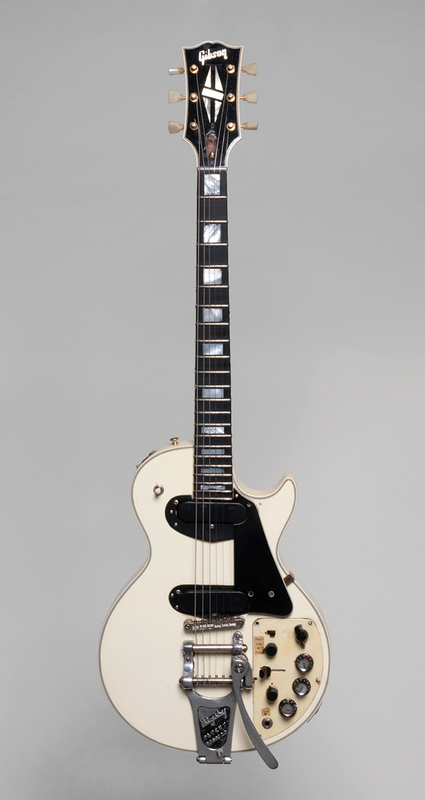 Les Paul had, in effect, created the template for the modern recording studio. Not all his projects worked out and his advice in an interview with Greg Hofmann was, “If you work on something and it’s coming to you hard, shove it in the corner”. Judging by the sheer quantity of dismantled instruments and non-functioning recording equipment deposited around his home after Les died, he meant it literally. In the same interview, published in January 1988, it’s clear that Les had kept himself up to date. He offered prescient insights on synthesis and telling appraisals of hot-shots such as Eddie Van Halen, Al Di Meola and Stanley Jordan. However, his unyielding enthusiasm for low-impedance pickups remains largely unshared. Although few listen to Les’s music these days, his association with Gibson ensures his name will never be forgotten, and many of the recording techniques and practices he pioneered are just as relevant in the digital world as they were in the analogue era. Not bad for a lad from Waukesha, Wisconsin.